Many persons of institutional and professional disciplines, inside and outside of Grenada, especially those of the legal fraternity as well as activists for regional integration, have being expressing that the bill for Grenada’s accession to the Caribbean Court of Justice (CCJ) is the most substantial issue for the 27 October 2016 constitutional referendum. Ironically, those persons have not thoroughly studied the bill, paying attention to its phrases, applications and interpretations; but they are giving support to the bill based on their preconceived notions and special interests. Whilst the CCJ issue is of significance, the Grenadian people are not sufficiently knowledgeable on the bill and on the various documents which are referenced in the bill, such as the Agreement Establishing the CCJ. The Government has squandered and misused an excellent opportunity for the people to be bonded and conversant with the CCJ, whether or not the CCJ Bill is passed at the upcoming referendum. Mind-bogglingly, on the verge of the referendum, academic scholars are emerging from their sleep and are parading their credentials and designations to persuade the electorates to accept the proposed amendments for Grenada’s constitution. These scholars are not known to have given any independent and objective presentations on each of the amendment bills; discussing and qualifying the rationales, including the nature and the benefit of the bills. Senior Lecturer in Political Science at the Cave Hill Campus of the University of the West Indies, Dr Cynthia Barrow–Giles, published some comments with the caption “Tick Tock: Shining a Light on the October Referendum”. The commentary makes for deep debates, especially on how the amendment bills or the reform package represent a call for a new (enhanced) politics and for widespread constitutional reform in the country; but then, to whose advantage and at whose expense? There is much passion for realizing indigenous processes in the affairs of the countries of the Caribbean, so as to reflect their independence status. In this regard, the CCJ issue is being peddled as an anti-colonial campaign, and the people of the region are drilled on validating “confidence and pride” in themselves and their establishments. However, the thrust to abandon the British Privy Council and to accede to the regional CCJ gives strong testimony of the gross disrespect by the politicians and their cohorts, for the sovereign constituent power of the people and for the principles of participatory democracy. The easiest and most devious means are being explored to achieve accession to the CCJ, and at the same time there is apathy for the profound cries of the people for addressing the governance problems in the countries. Definitely, had it not been about the CCJ, Grenada would not have being undergoing this so-called constitutional reform. Recall the previously internet-circulated articles “Caricom and Constitutional Reform” and “Constitutional Reform and The CCJ”. A good appreciation of the ‘attitude and approach’ by the powers-that-be on the road to the CCJ must involve a thorough study of the manner by which the CCJ was fully institutionalized into the legal system of the four countries presently; namely Barbados, Belize, Dominica and Guyana. Grenada would have been listed with these countries, if its people were not fortunate to have a ‘unique and remarkable’ constitution which stipulates that a referendum must be held for that purpose of having the CCJ as their final court. It is most disgusting and outrageous that even with the entrenched and sacrosanct provisions for the referendum, the governing authority in Grenada has crafted strategies to hijack the procedures and to impose the CCJ on the people; and then to brag that the Government and people make history as the first in the Caribbean to accept the CCJ via a referendum. “Undoubtedly the goal for reforming the Constitution of Grenada is to clear the way for replacing the London-based Privy Council with the Caribbean Court of Justice (CCJ). This is not the case only for Grenada but for all of the Caricom countries which do not have the CCJ functioning to its ‘fullest extent’. The failed Reform in Saint Vincent and the Grenadians (SVG) and the concern not to have this happening in Grenada must be put in (proper) perspective. It was never the intent of the Government in SVG to have drastic changes in National Governance and Executive Powers, but rather to succeed with the CCJ.” Excerpt from “Grenada Constitution Reform: The CCJ Issue”. 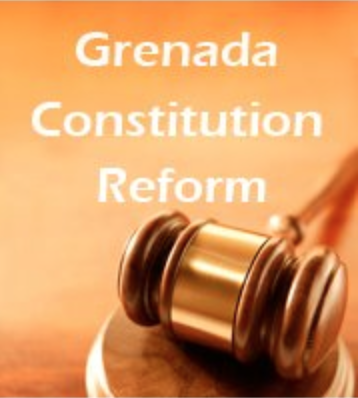 Also read “Constitutional Reform or Legislative Reform?” which elevates as priority the need for Grenada to rectify its legal regime in order to reflect respect for the rule of law, for due process in judicial administration, for national institutions and values, and for natural and social justice. Legitimate concerns on the operations of the CCJ have been raised over the years by the general population of the Caribbean community, and the proponents and officials of the CCJ have being trying to put to rest those concerns. The leading concerns about the CCJ are the possibility of political interference; the possible lack of financial independence; the caliber and integrity of the judges; the enforcement and effect of the judgments; and the need for improving the local justice system rather than spending money on a regional institution. The claim that the various countries have already funded the CCJ is often being used as a carrot and logic for embracing unreservedly the CCJ; but, was the people consulted for consent and do they know of the burdened payments? The secretariat of CCJ has also embarked on some initiatives to boost the image and repute of the CCJ and to quell its critics; this includes a Canadian-sponsored 5-year Judicial Reform and Institutional Strengthening (JURIST) pilot project. Grenada is the first of six countries to benefit from this EC$1 million extensive project, which was developed to assist with court administration and administration of justice in the Caribbean, essentially to reduce the delay and backlog of cases and to improve judicial services. Negative perceptions of CCJ are growing however, when there is its seemingly ‘intrinsic and intimate’ relationship with the political directorate; this is evident by CCJ’s active presence on Grenada’s ‘sovereign and noble’ referendum undertaking, but without its officials enlightening the people on the CCJ Bill. Unfortunately, CCJ continues to propel rhetoric and misrepresentation in seeking credence. It is not accurate to preach that accession to the CCJ is about “access to justice.” Under the socio-economic construct of the citizens, judicial redress will always be a luxury for some and an illusion for others. Research with statistical analysis would say how many seriously aggrieved persons are not comfortable and/or are not in a position to approach the local courts, at the first stage for justice. Further, what percentage of persons wishing to or needing to proceed to the Eastern Caribbean Supreme Court of Appeal, as the second level, is able to do so? Facing personal limitations and legal impediments is sure to secure the CCJ as the third and last resort. In May 2014, a delegation of the CCJ held talks in Grenada on constitutional reform with various stakeholders including government officials, the trade unions and members of the public, in anticipation of the referendum which was first fixed for 10 February 2015; see “Grenada Constitution Reform: The CCJ Convicts Itself!”. Without ignoring the misgivings about the CCJ, the concerns of the Grenadian people at this point in time are beyond the regular concerns of the Caribbean people. The local concerns are about credibility of the CCJ Bill in terms of its content, substance, scope, technicality and implication. Contrary to what is being promoted by Grenada’s authority, it is far from reality to say that the bill is “straight forward and non controversial”. In fact, there is the apparent hesitation by the Grenada Trades Unions Council (GTUC) on the soundness of the CCJ and GTUC may well be advising its members to be cautious and sober on making a decision on the bill at the referendum. A particular consideration for the labour force must be about potential threat to obtaining justice on matters of victimization by employers, industrious action and pensions payment; this must be so, especially in light of the evolving challenges to the role and existence of trade unionism. Government workers ought not to take this potential threat slightly, since they are most vulnerable to political abuses and are already facing uneasiness and uncertainty with the reckless and harsh effort for so-called Modernization of the Public Service. The criticisms against the CCJ in its present status are for edification toward the empowerment of the people and for counsel to the CCJ. CANA reported in February 2001 that former prime minister of Jamaica, Edward Seaga, warns against the CCJ. Seaga described acceding to the CCJ as the single greatest threat to “pure and true” justice which cannot be tarnished by political influence and also stressed that the Privy Councillors have no political connection to the Caribbean region. Now the Antigua Daily Observer reported that in delivering the address on 20 September 2016, to mark the opening of the new Law Year, the Chief Justice of the Eastern Caribbean Supreme Court (ECSC), Dame Janice Pereria said that “attempts at judicial interference are on the rise” and that “these attempts emanate from places and persons and by methods which you would least expect”. Bravely, Janice Pereria advised her colleagues to remain “resolute and focused in their mandate to ensure equal access to justice and equal justice”. “They must fiercely, unhesitatingly, and without fear or favour, guard and defend their role as protectors and enforcers of the rule of law; the guardians of our constitutions,” she said.